This living work of art showcasing Modern Mission style architecture is brought to life by premiere builder Red Sky Homes. BRAND NEW CREATION scheduled for early 2019 completion. Mountain VIEWS 360! Main home features 5 bedrooms, 5.5 baths, living areas & home theatre. Large expansive patio with pocket glass doors through out. Separate guest house features 1 bedroom, 1 bath, living room, garage and patio. Directions: North to Crystal Lane, West to home on north side of street. Approximate size: 45263.00 sq. ft. 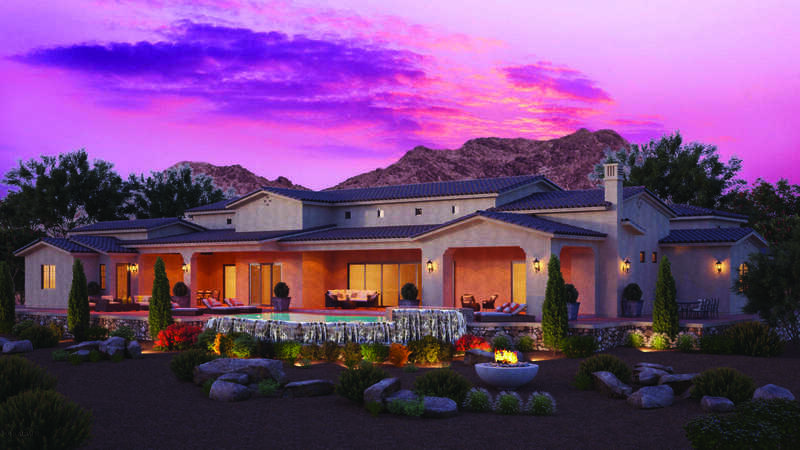 Please, send me more information on this property: MLS# 5779202 – $4,995,000 – 4708 E Crystal Lane, Paradise Valley, AZ 85253. I would like to schedule a private showing for this property: MLS# 5779202 – $4,995,000 – 4708 E Crystal Lane, Paradise Valley, AZ 85253.